If you followed my advice in the earlier post, it’s a safe bet that you’re all set for a great Vegas vacation. It’s easy to get from place to place. Take the shuttle from the airport to the Strip – it’s only $12 round trip/person—and take advantage of the FREE hotel shuttles between hotels. 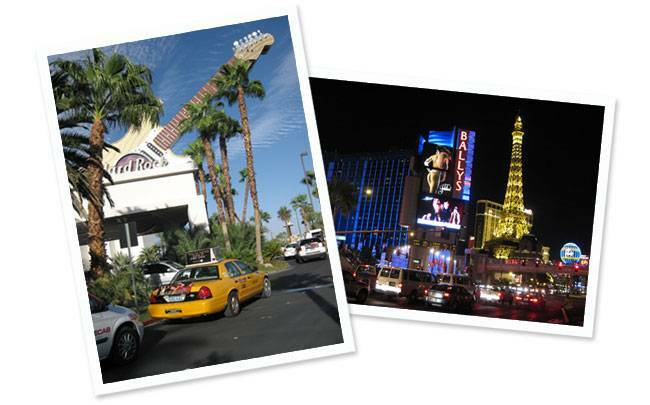 To get up & down the “strip”, buy a 24-hour “all access pass” on the Deuce Bus for $7/person. For after, after hours, destinations well off the strip, or if you’re in a hurry, taxis are abundant at all the hotels. Sign up for the FREE Players Cards—Total Rewards at Paris and MGM/MIRAGE at Bellagio—for special offers, discounts and to earn ‘points’ toward comps. These two cover most of the casinos. If you’re a gambling virgin, consider taking “lessons” offered FREE from many casinos. New players also should consider ‘slower’ early morning hours when fewer veterans are there. Set your daily or total gambling limits in advance. I “cash out” when I quadruple my “investment,” run out of time or make my “daily” contribution to the house. For great Vegas breakfast, lunch & dinner specials, check out Bills Gamblin’ Hall & Saloon, La Salsa Cantina in Miracle Mile Shops at Planet Hollywood, the Hard Rock Hotel, Terrible’s Casino and Ellis Island Casino & Brewery. You will find even more at the Freemont Street Casinos, Downtown. If you like to have a drink with dinner, a word of caution—DWI is taken very seriously (as it should be). But pedestrian open beverages, indoors and out 24/7, is common and lends a perpetual party feel. Next up: How to spend five G-rated (and great) days in Vegas without spending a fortune.